Love Out Loud (Part 1)! Greetings everyone! I am writing you from the basement -no, really. I’m tending to laundry. As I reflect on the occurrences of the past weekend, I have realized that I am blessed (yet again). My Momma and sisters came up to visit. Dad had a speaking engagement, and couldn’t come. They spent a couple of days with my brother, and a couple with me as well. I enjoyed having them around very much. It’s amazing: I never knew how much I missed them, until I saw them. Although I make it a point to speak to my parents every week, I still become consumed with “things” within my own life. I’m learning how to “lift my head up” out of the sand, these days. 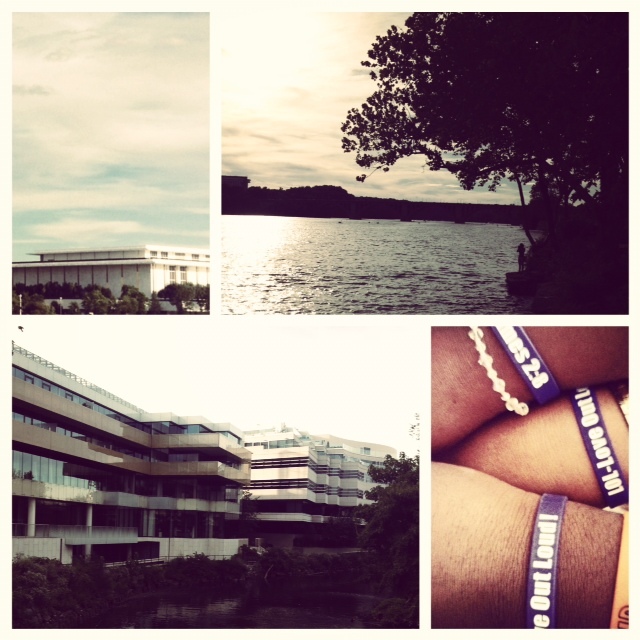 While my family was here, we were able to go walking around the city (DC) and surrounding areas. It was good for us to just leisurely stroll, with no real agenda in mind. It felt as though I had a piece of home here with me. It was a good feeling. One day, I would like everyone to come up here for a holiday. We shall see! One of the many highlights of the weekend was being able to take my momma out to breakfast. It was just her and I, at a diner, talking about some of everything. As I studied the face of this virtuous woman as she ate, I realized that she has a few more wrinkles since I saw her last. Her regal, gray hair has a little less pepper, yet more salt. As we continued to eat and talk, I was thankful for this opportunity, pleasure, and honor to pay for my mother’s meal. The time invested outweighed the meager $24 check. The capstone of the morning was when she said, “I’m happy. I’m enjoying this [breakfast] with my ‘Boopsie’,” as she calls me (hey, no judgement, lol). That made my heart smile. Amidst our great time together, we almost had an argument. Can you believe she tried to pay for our meal?? After I told her that I have it, she tried to pay for her meal! “Momma!”, I exclaimed. She finally got the point. I love that woman to pieces. Before she left this morning, she began rubbing my head (as she always does), speaking Godly affirmations over my life. In particular, she said, “I imagine that you’ve been through alot [eluding to a particular topic], but you’ve made it. Just continue to trust God. He’s brought you through.” Indeed He has. I receive all that she said to me. As I wrap up this post, my mind can’t help but to think of those who don’t have their mothers here on Earth with them. My heart sincerely goes out to those who may have lost their mothers or may never have known her. I pray for those who have not spoken to their family due to disagreements. This much is sure: Time waits for no one, and the time is now. I am pleading with you. Don’t let another day pass without reconciliation. I understand that things are quick to happen, and often times can be too little, too late. Once people leave from this side, they don’t come back.